Error 0x80004005 is one of the less common errors to be found in Microsoft PCs, but it is nonetheless frustrating and occasionally even paralyzing to your Windows experience. Has anyone seen RDP issues to 2008 R2 servers after upgrading to #windows10 1709? We skipped 1703. 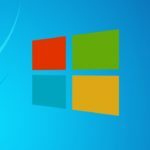 When it comes to desktop operating systems, Microsoft has control over the majority of the market. 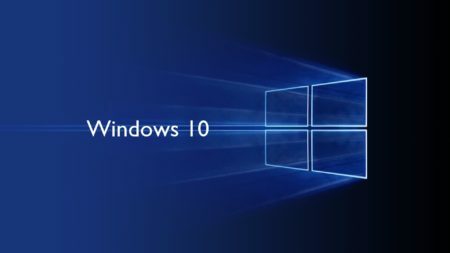 As of late 2016, Windows 7 accounted for 48% of the market, and Windows 10 had 24%. With a total control of 72%, Microsoft dominates the desktop game, and these two pieces of software have become cornerstones of their success. 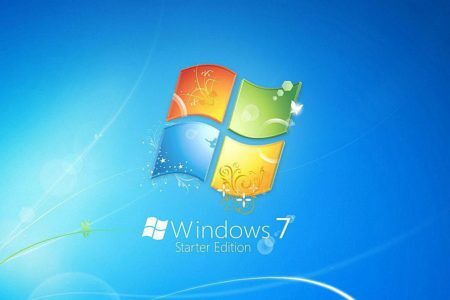 Windows 7 and 10 have both been praised for their unique features and user-friendliness. *Edit: Microsoft has recently updated their site to provide some handy solutions. But don’t bail on us just yet- we have some unique fixes and some video tutorials below to solve the problem. This support document also helps with the following errors: 0x80004005, 0x80090006, 0x8009001d, 0x80070002, 0x8007007f, 0x8007007e, 0x800705aa, 0x8007007e, 0x80004005, 0x800705aa, 0x80070002, 0x80004005, 0x800405aa, 0x80090019, 0x800703e7. Microsoft is definitely among the most unhelpful when it comes to helping customers with troubleshooting problems they encounter. I have years of experience to back it up. But they seem to be turning a new leaf with Windows 10. Microsoft, at the time of this writing, doesn’t have support for these error codes on their website. On their actual support page, they just list the error codes without providing possible solutions. Instead, they have an answers page, which reads like a forum. Its premise is similar to Yahoo Answers, as it allows users to ask questions based on a variety of topics, and other users to answer. 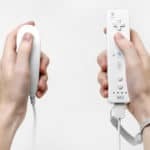 Personally, I prefer it when the actual company has their own answers like Nintendo does on their Error Codes for the Wii. However, the answers concept for Microsoft works fairly well, so check it out here if you have any additional questions. They also have experts that work for them, so most of the time the information is accurate. When it comes to the Error Code 0x80004005, there are a lot of variations. Displayed as “Unspecified Error” it is really up to the user to determine what is causing the error. Sometimes, like with the Outlook error, it is easy to tell as only the Outlook program won’t be working correctly. However, many times the error will be affecting many programs at the same time, so in that case, you will have to try various solutions until they work. For this list, I compiled the four most common causes of this error and the most effective ways to fix each. A popular YouTube fix for this problem is below. The creator says that you need to download a .dll file, then place .dll file into your System32 folder (you’ll need to have hidden files and folders view enabled, he says). This error can be frustrating because many times it is hard to pinpoint exactly what it is. 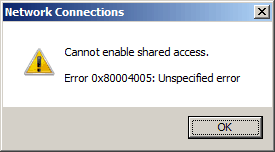 When this error occurs, it is displayed as an ‘Unspecified Error’. ALSO READ: There Is A Problem With Your Wireless Adapter Or Access Point! 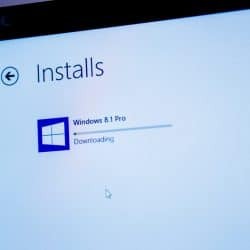 This error is specific to Windows 10 and occurs when a user is trying to download an update. This usually means that the update files are corrupt. Usually, Microsoft themselves will notice this error and be able to fix it within a week. However, if you want the update before then, it is important to correct this error. 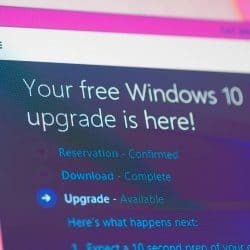 This will affect users on both Windows 7 and 10 and it most frequently occurs when a new message arrives through the Outlook app. The error message that is displayed reads “Sending and receiving reported error 0x80004005: The operation failed.” This error will prevent you from sending or receiving emails. The broadest error on the list, an error in the Registry Key effects many programs and is hard to determine exactly what is causing it. Usually, it is caused by a virtual machine error or when trying to access shared folders. A .dll file stands for a dynamic link library. It is essentially a library that contains code and data that is used by more than one program at a time. This error is important to fix as it can make multiple programs misfunction at the same time. When updating on Windows 10, this error is caused by the update files being corrupt. If you receive this error while updating, you are lucky because this is usually the easiest to correct. The error is actually being caused by the Windows Update Control Panel. Therefore, just downloading Windows 10 off of Microsoft’s website should fix this problem. Yes, you will have to go through the entire setup process again and it will be a little more work than simply updating it from the Update Manager, but it will give you the update without the error. If you use Outlook regularly, this is definitely an error you want to fix as soon as possible, as it makes it impossible to send or receive emails. This can be especially detrimental if you use Outlook for work or other important uses. Here are two methods that should fix this problem. The most common cause of this error is your anti-virus software giving a false positive report. If you have an anti-virus software on your computer, first try to resolve this issue by disabling the software. After turning off the software, check to see if Outlook is now running correctly. If it does, make sure to report this to software’s developer. Obviously, a major disadvantage of doing this is that the computer may not be well protected, but the developer should be able to fix this issue within a couple of days. If your computer doesn’t have an antivirus software installed, then disable the Outlook notification of reporting new emails. To do this, open Outlook and find the Tools menu in the menu bar. From there, click Options and choose Preferences. Then, select Email Options and uncheck the item titled Display a notification message when new mail arrives. After clicking OK, you will no longer receive a notification when receiving a new email, and this error should be fixed. 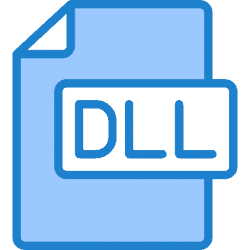 To simplify it, a registry key can be thought of like a folder within Windows. An error in the Registry Key will cause this error and most likely affect many programs. To fix, start by opening the Run dialog box. This can be done by pressing the Windows key and R simultaneous. Run is listed, and click it to open the box. Once you open it, type Regedit in the dialog box and click OK. This allows you to open the Registry Editor. During this step, you are checking if the registry key is already present. If it is, then delete it and test to see if the error is still present. Deletion of the registry key should get the error fixed in most cases. If that registry key isn’t present, then this is not the issue. As mentioned, this error will affect the functionality of several programs, so it is imperative that you fix the issue as quickly as possible. Luckily, it is a simple and quick fix. Begin by going to the Start menu and click on All Programs->Accesories->System Tools. From there, select Disk Cleanup and you’ll be told which files you can delete and how much disk space can be freed. Select Temporary Internet Files and click Clean up system files button. ALSO READ: How To Fix: "Internet Explorer Has Stopped Working"
Although a corrupt .dll file is a complicated issue, the solution of just cleaning up the system files from the Internet will usually fix this issue. There are several pieces of software on the market that provide this service. Checking your files regularly and performing a lost data scan right after receiving this error is crucial if you want to retain all of your data. If you want to learn more about this type of recovery software and find the best one for you, be sure to read this article from FossBytes. As you can see from the list, Error 0x80004005 can mean a broad range of things. From Outlook to updating, it is most commonly associated with file or data corruption. Unless you are familiar with some computer programming languages, these things can seem daunting. You probably weren’t comfortable with some terms in this article, such as “.dll file”, or “Registry Key”. They may seem complex and strange to you at first, but once you learn what they mean and how they work, you’ll understand that they really aren’t that complicated. It’s not necessarily as important for you to understand how these programs or errors work, but more of how to fix them so you can continue to use Windows error-free. Luckily, Windows 7 and 10 are both similar enough to each other that the solutions for fixing these errors are the same for both. For another Window’s error that you may encounter called Runtime Error 203 read our article on it here. When you receive this error, it doesn’t allow you to run a piece of software properly, which can also make you lose data. In that regard, it is similar to this error. Have a question that wasn’t answered or other great tips? Leave a comment below and start a discussion! 4 Fixes For d3dx9_42.dll Errors | What Is It? 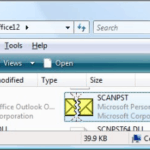 For me the outlook data file (.pst) seemed to be the problem, altough scanpst.exe did not report any error on it. I removed it from the source directory and replaced it with an older backup .pst file, then receiving emails started to work. After that I used the import feature to import all emails from the replaced .pst file.